So I decided to take this experimentation thing a bit farther and play around. First I taped the paper down (as I always do), but this time I decided to tear off small pieces of tape and put them on the piece so that later they will show the white paper when they are peeled up. 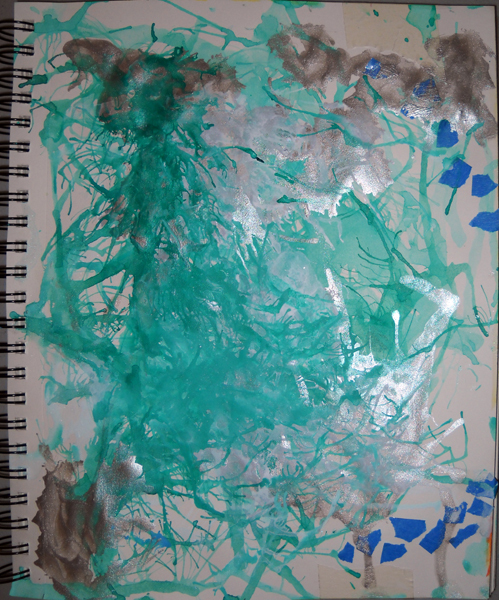 Next I poured layers of Teal, White, and Silver Ink onto the paper and made them run by blowing the wet ink with a drinking straw. Then I sketched the character with a black sharpie and added the triangular pattern to the face to blend in the new style I’m playing with. I really wanted the triangular to break away into the splatters. 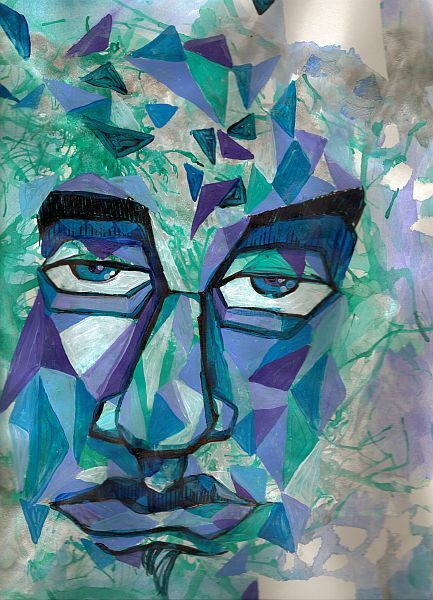 I used Ink, Marker, and Acrylic Paint on this piece, called “Breakaway”. Week 5 Finished Piece "Break Away"